Help me pedal with purpose! 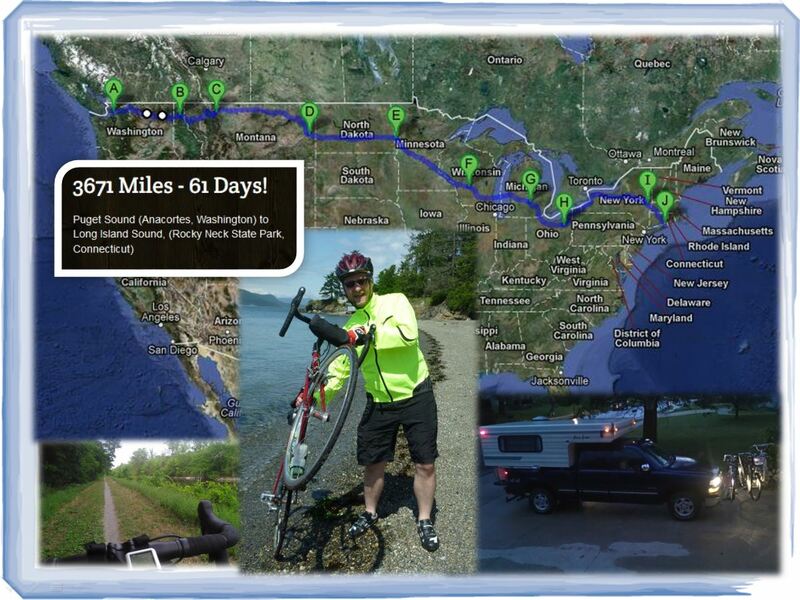 It’s been a few months now since I completed my bicycle ride across America on behalf of the Lutheran Campus Mission Association. Thanks to the generosity of many supporters over $15,000 was raised for campus ministry! Riding my bicycle across the United States was tremendously rewarding – but even more rewarding is knowing the difference that all of you are making in the lives of college age young adults. It’s estimated that there are about 80 million young people aged 18-30 in the United States. According to recent figures, more than 21 million—a record number—are enrolled in U.S. colleges and universities. The Pew Forum on Religion and Public Life has described the people in this group as less religious than previous generations: one in four—the highest proportion ever—is unaffiliated with any particular faith; and many of these left a religion in which they were brought up, often during their college years. College and young adulthood are a crossroads—a time when a person’s faith can be challenged and allowed to weaken… or be awakened, stretched and built up. And this is the Lutheran Campus Mission Association’s call to mission. Please continue to help with your donation to LCMA in 2013! The Pierce family has returned to Columbia, MO! We arrived sometime after 2:00 AM on August 8th. While there are many people to thank for supporting our family and helping make my bicycle ride across America a success, I want to take this opportunity to acknowledge the Jivetti family. Billy, Lillian and Belinda have spent their summer living in our house and caring for it while we were away. The house sitting arrangement worked well for both of our families, as the Jivettis needed a place to stay while Billy finished earning his Ph.D. in Rural Sociology and we needed caretakers while traveling over the summer. I first got to know Billy through a mutual friend, Sharon Kinden, who has been working with Billy to build a hospital, the Fellbaum Clinic, in Billy’s home village in Kenya. Our congregation, Campus Lutheran, is supportong this project in a variety of ways and I’d encourage you to take a moment to look at the Pathways Africa website and see for yourself the caring work that is taking place. It is truly a God thing – how He brings people together and blesses us and others through those relationships! My family stayed in Connecticut for a few days after finishing the bike ride. We especially enjoyed our time with my brother Kyle and his family… cousins playing in the swimming pool, driving antique vehicles, and eating Mystic Pizza! On Saturday evening I had an opportunity to share about my bike ride and the ministry of Lutheran Campus Mission Association at Christ Lutheran Church in Niantic, CT. The congregation has been including campus ministry inserts in their bulletins and collected a door offering. Then, on Sunday morning, I returned to Storrs, CT and was welcomed again by Hope Lutheran Church. I was the guest preacher and enjoyed sharing God’s Word and talking with congregation members about campus ministry. Hope is a campus congregation next to the University of Connecticut. Many thanks to everyone who blessed our family’s visit! This afternoon I completed my 3,671 mile bicycle journey across America and dipped my wheels in the waters of Long Island Sound. My brother Kyle joined me for the second half of today’s ride, navigating our route to the beach at Rocky Neck State Park, CT.
Kyle’s house was along our route, so we stopped and recruited some additional riders for the last 9 miles to the ocean. My daughter, Emma, and Kyle’s sons, Jon and Mark, rode with us for the final stretch. We’ve now entered the last state on my bicycle ride across America. If all goes according to plan, sometime tomorrow I’ll make it to the coast near my brother Kyle’s house outside of East Lyme, CT.
Tonight we’re being hosted by Hope Lutheran Church in Storrs, CT. We were greeted this afternoon by one of Hope’s members, Sheri, who showed us around the church and directed us to some local attractions. Hope is located right near the University of Connecticut campus. We all enjoyed our visit to the UConn Dairy Bar – especially Brennen! We’ll be coming back to visit Hope this Sunday, as I’ll be their guest preacher. A big thank-you to Pastor Nollet for following my bike ride and extending this invitation! I left Delmar this morning and cycled through Albany toward the Massachusetts state line. My route was through the scenic Berkshire hills and I arrived in Westfield, MA by late afternoon. Along the way I met Jim, another cross-country bicyclist who started in Washington earlier this summer. Jim is headed to Maine, where he lives. Westfield, MA is a college town – the home of Westfield State University. St. John’s Lutheran Church is also in Westfield. Pastor Hazzard and the congregation have been following the progress of my ride and offering their support of Lutheran Campus Mission Association.